Rosina Neginsky, associate professor of Liberal & Integrative Studies at the University of Illinois Springfield, has published a new book exploring the history of the myth of Salome. 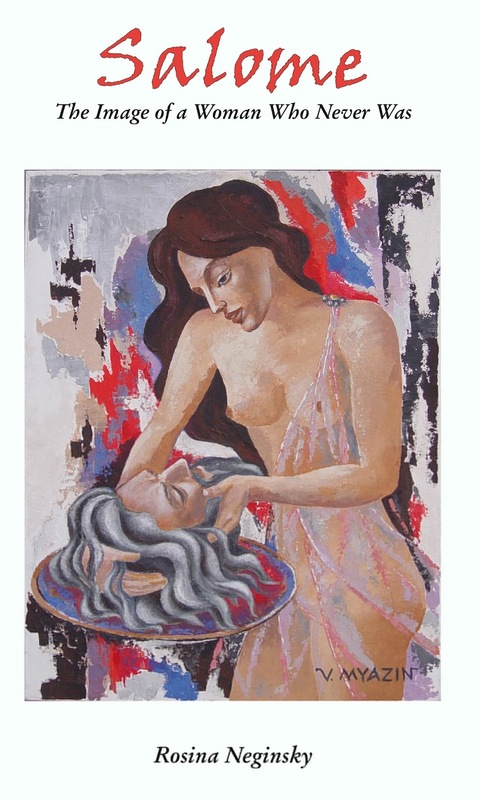 Salome: The Image of a Woman Who Never Was explores how the myth was created, the roles that art, literature, theology and music played in that creation, and how Salome's image as evil varied from one period to another according to the prevailing cultural myths surrounding women. After setting forth the Biblical and historical origins of the Salome story, the book examines the major cultural, literary and artistic works which developed and propagated it, including those by Filippo Lippi, Rogier van der Weyden, Titian, Moreau, Beardsley, Mallarme, Wilde and Richard Strauss. Although the root of the Hebrew name "Salome" is "peaceful," the image spawned by the most famous woman to carry that name has been anything but peaceful. She and her story have long been linked to the beheading of John the Baptist, as described in the Gospels of Matthew and Mark, since Salome was the supposed catalyst for the prophet's execution. “In a remarkable display of interdisciplinary erudition, Rosina Neginsky explores the Salome myth across the centuries, in different artistic media. This is a fine book, rich in sensitive analyses and new interpretations of a wide variety of works of visual art, literature, and music,” said Peter Cooke, a senior lecturer in French Studies at the University of Manchester, UK. The book will be of great interest to scholars and students of cultural history, literature and art history. It is available in hardcover on Amazon.com and from Cambridge Scholars Publishing. Terry Minder, assistant grounds gardener at the University of Illinois Springfield, has made it his mission to keep the campus beautiful. He’s part of an 11 person crew that maintains 370 acres of campus grounds. On a daily basis, Minder takes care of the annual plants and tends to flower beds on campus. He also waters indoor plants and helps with snow removal in the winter. “Especially in the snow, we have to get those walks clean so (students) can get to and from the parking lots,” said Minder. Minder enjoys interacting with students and jokes he often gets in trouble for talking too much, however he always gets the job done. Even after 12 years on the job, Minder still looks forward to coming to work every day. “This is the best job I’ve ever had and I’ll retire here. It’s a great place to work,” he said. The Illinois Principals Association (IPA) has honored Scott Day, associate professor and chair of the Department of Educational Leadership at the University of Illinois Springfield, with the Abe Lincoln Region Herman Graves Award. Considered the highest honor bestowed by the Illinois Principals Association, the Herman Graves Award was established in 1991 to recognize outstanding service to the IPA. The award was presented during an awards banquet on August 14, 2013 in Decatur, Ill.
A Danville, Ill. native, Day earned his doctorate in education (Ed.D.) from the University of Illinois at Urbana-Champaign in 2000. Before coming to UIS, Day spent the thirteen years as a middle and high school assistant principal in Pennsylvania and junior high principal in Illinois. 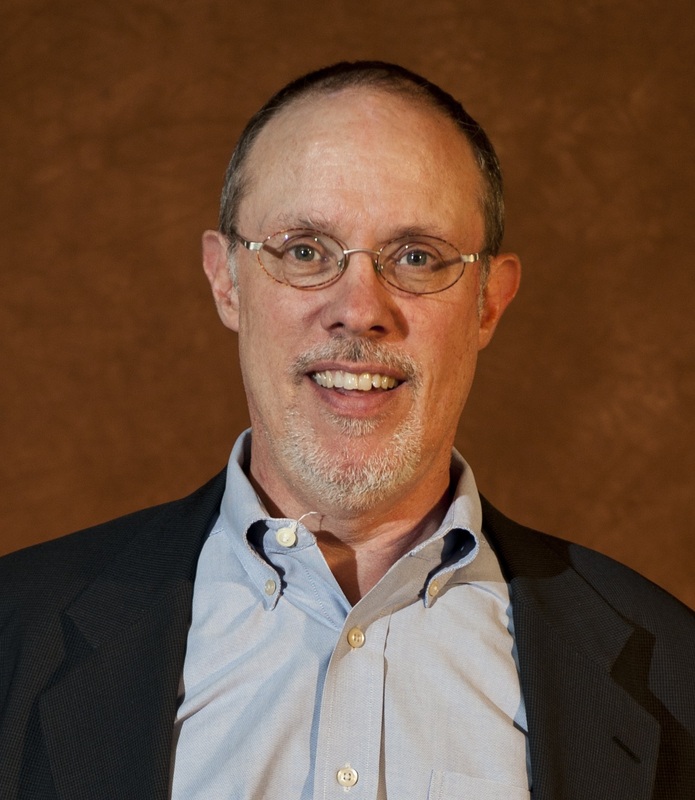 His research publications includes work on blended learning, using design-based research to improve online courses and programmatic change, technology uses of at-risk students, and school district reorganization issues. Day was one of two founding faculty to develop and teach one of the first courses in the online master’s in Teacher Leadership degree program at UIS. The program was awarded the Sloan-C Outstanding Program of the Year in 2010. 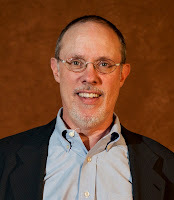 Also in 2010, Day was awarded the Pearson Faculty Award for Outstanding Teaching at UIS. Vickie Cook has been selected to be the new director of the Center for Online Learning, Research and Service at the University of Illinois Springfield. She will begin effective September 16, 2013, pending U of I Board of Trustees approval. Cook received her Ph.D. in Higher Education Administration from Capella University, and is currently the Associate Vice President for Innovation and Technology at Greenville College in Greenville, Illinois, where she has successfully launched seven online programs. Her prior positions include serving as Dean of the School of Education and Director of Online Learning at Greenville. Cook was a faculty member at UIS from 2006 to 2009, before leaving for a deanship at Greenville College. Prior to 2006, she served as Dean of Continuing Education and University Alliance at Kaskaskia Community College. She succeeds the founding director of the UIS Center for Online Learning, Research, and Service, Associate Vice Chancellor for Online Learning Ray Schroeder. "We are delighted that Vickie Cook accepted our invitation; she is an outstanding leader in the field of technology-enhanced learning," said Schroeder. "Vickie has the abilities and expertise that make her an ideal person to lead the Center for Online Learning, Research and Service. I know that the Center will continue to lead in innovation and quality in online learning under her leadership." The Center for Online Learning, Research and Service is the recipient of many national awards for excellence in online learning. The center has launched two Massive Open Online Courses (MOOCs) and is engaged in research on the pedagogy and quality outcomes of MOOCs, predictive analytics reporting, and community college degree completion online. David Racine has been named the executive director of the Center for State Policy and Leadership (CSPL) at the University of Illinois Springfield. He has served as interim executive director since June 2010. Racine came to UIS in the Fall of 2007 through a successful national search for a new director of the Institute for Legal, Legislative, and Policy Studies at UIS, a unit within the Center for State Policy & Leadership. He has held a number of administrative leadership, consulting, and project management positions, accumulating more than 35 years of experience working with public policy, public affairs research, and program development in a variety of public and private sector organizations. Prior to joining UIS, he led a foundation-funded national organization, Replication and Program Strategies, devoted to the scale-up of effective health, education, and social programs. He was the founding staff member of the Points of Light Foundation and served for a time as its executive vice president and chief operating officer. He also served for eight years as Director of Government Affairs and Social Policy for the American Public Welfare Association, the national organization representing state and local human service agencies. Racine was a senior policy advisor to New Jersey Governor Tom Kean during his second term and legislative director for U.S. Senator Jack Danforth at the start of his third term. Racine holds a bachelor’s and master’s degree from the University of Illinois at Urbana-Champaign and a Ph.D. from the Virginia Polytechnic Institute and State University Center for Public Administration and Policy. The University of Illinois Springfield announces those students serving as Resident Assistants (RAs) for the upcoming academic year. RAs are responsible student leaders who create supportive living/learning communities, serve as peer advisors and knowledgeable campus resources, and assist students in transitioning and adapting to college life. RAs start two weeks of training, prior to UIS students returning for classes which begin on August 26. The following students will serve as Resident Assistants during the 2013-14 academic year: JC Brown, Carson Buss, Hannah Cave, Danielle Cherry, Mike Chmielewski, Ryan Chipman, Corey Cooperider, Robyn Crutchfield, Matt Dobill, Amber Fluker, Tori Higgason, Haley Houser, Josh Howland, Shomari Jackson, Leigh Mosher, Rachel Neudhal, Jelsie Pacifico-Patterson, Jasmine Palomar, Rebecca Romero, Michael Rosenberger, Steven Stransky, Juan Trevino, Sean Vaughan, Dominique Wilson, and Katie Woodford. For more information, contact John Ringle, UIS director of Residence Life at 217/206-7261 or jring1@uis.edu.